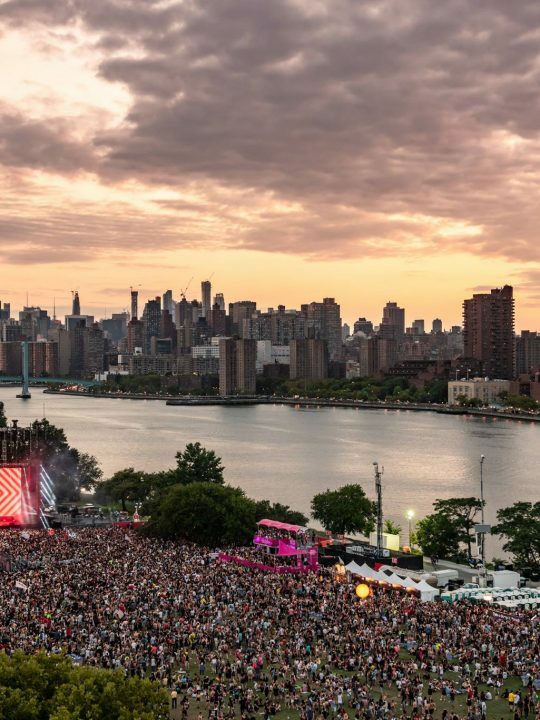 This year has been filled with all sorts of themed festivals from the Renaissance era of Middlelands to the prehistoric dinosaurs of Lost Lands, we have been there for it all. 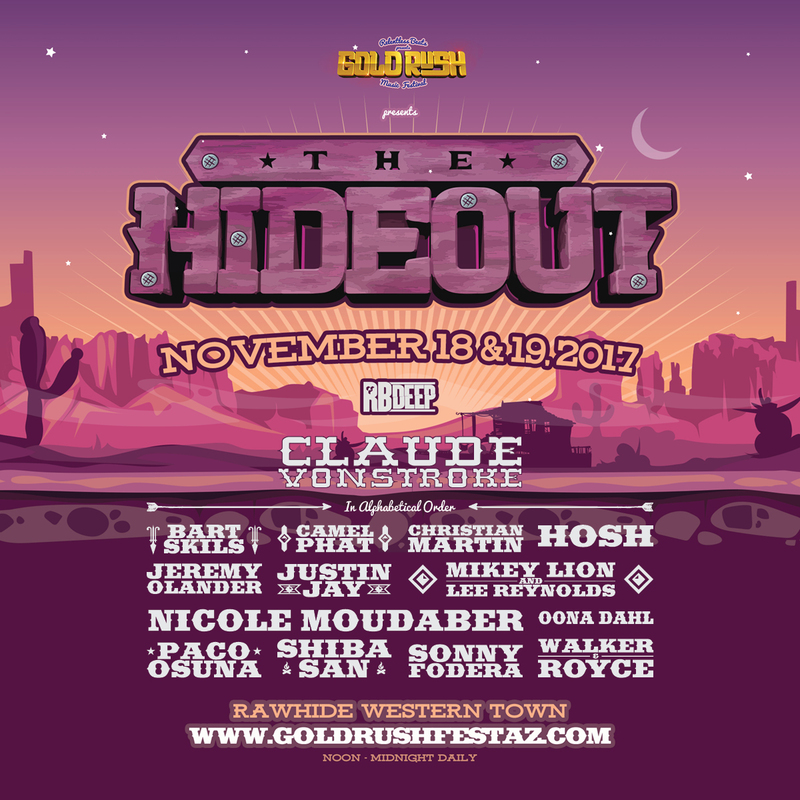 Now we get ready for the first inaugural Goldrush Music Festival located at the Rawhide Western Town & Event Center just 20 minutes outside of Phoenix, AZ. 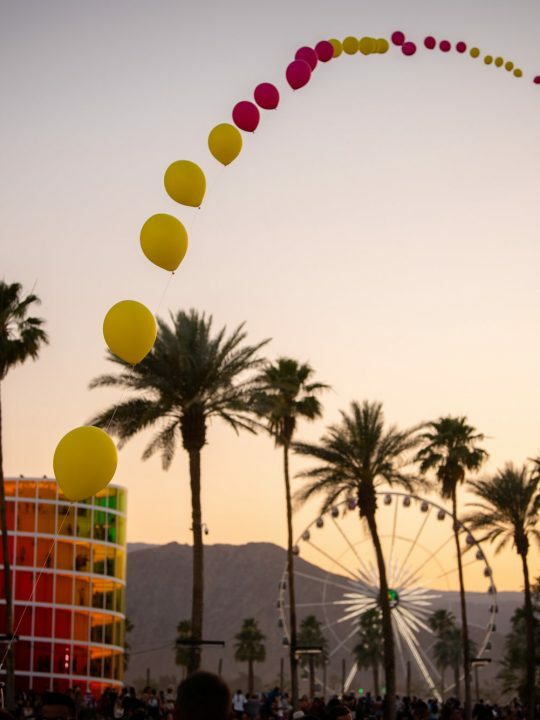 Situated on the Gila River Indian Community, Rawhide is Arizona’s largest 1880’s western-themed venue. 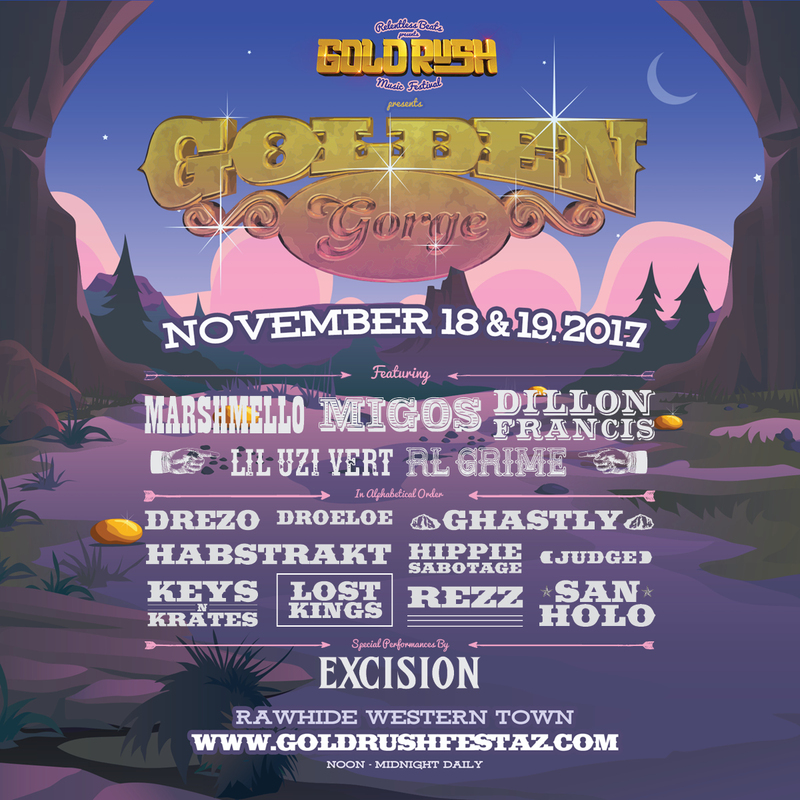 Building off of Rawhide’s “Wild West” theme, Goldrush is the first-ever western themed dance music festival. 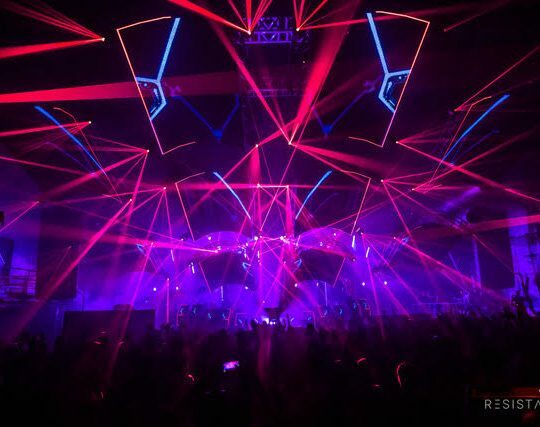 On November 18th and 19th Global Dance and Relentless Beats will be bringing in some of the biggest artists in dance music on three all-new stages. 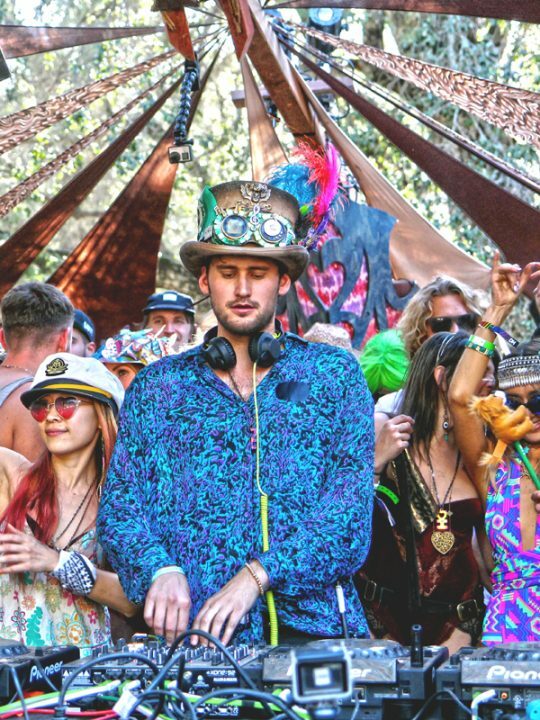 The main stage, Golden Gorge, is filled with pure gold. 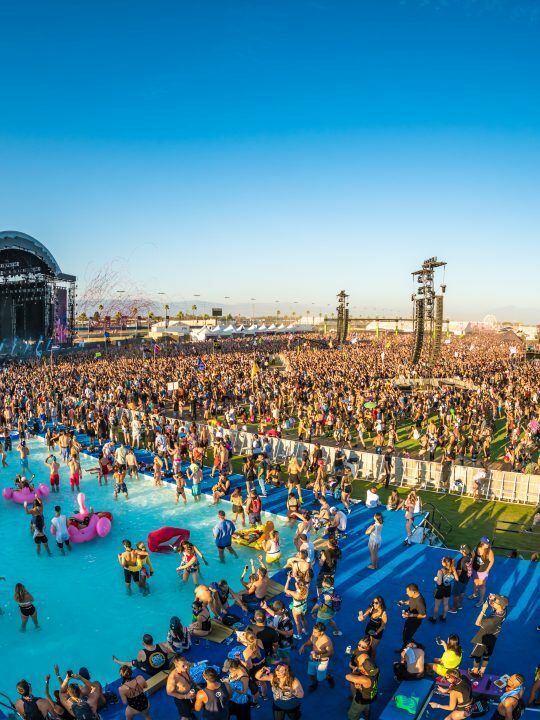 Featuring artists such as Dillion Francis, Excision, Ghastly, Hippie Sabotage, Keys N Krates, Lost Kings, Marshmello, and REZZ. 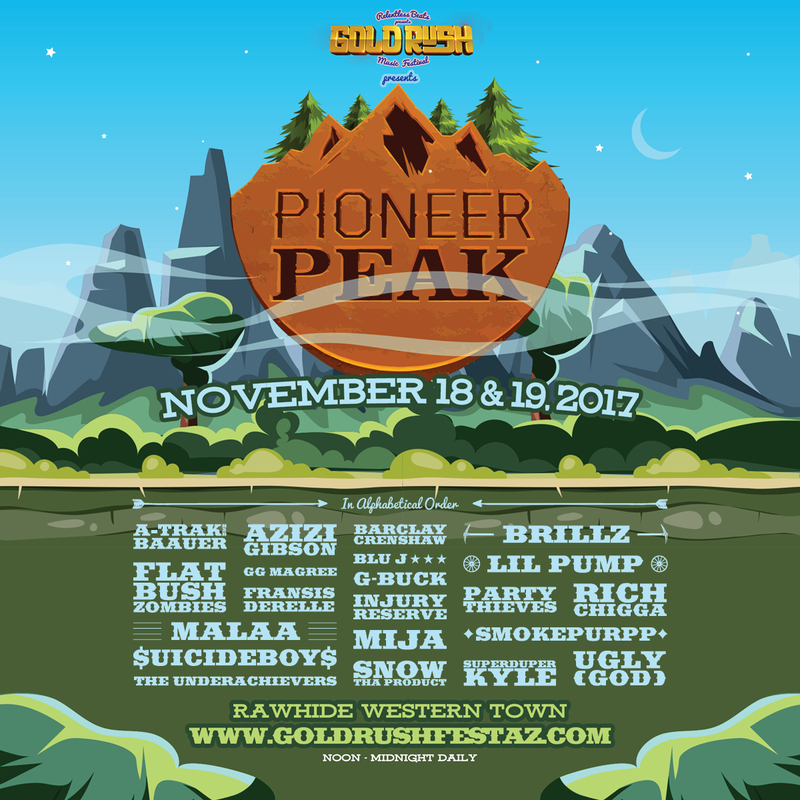 The second stage, Pioneer Peak, is for cowboys and bandits alike featuring artists like A-Trak b2b Baauer, Barclay Crenshaw, Brillz, Malaa, Mija, Rich Chigga, Smokepurpp, $uicideboy$, and Ugly God. 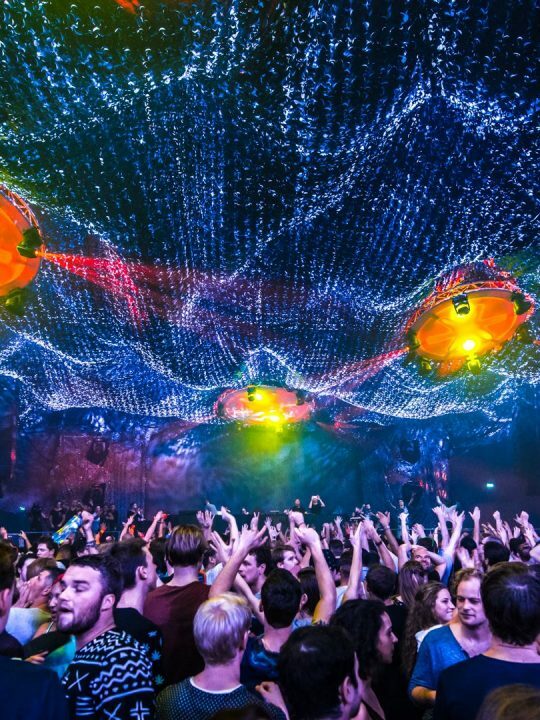 The third stage, The Hideout, is a haven for techno and house lovers alike. 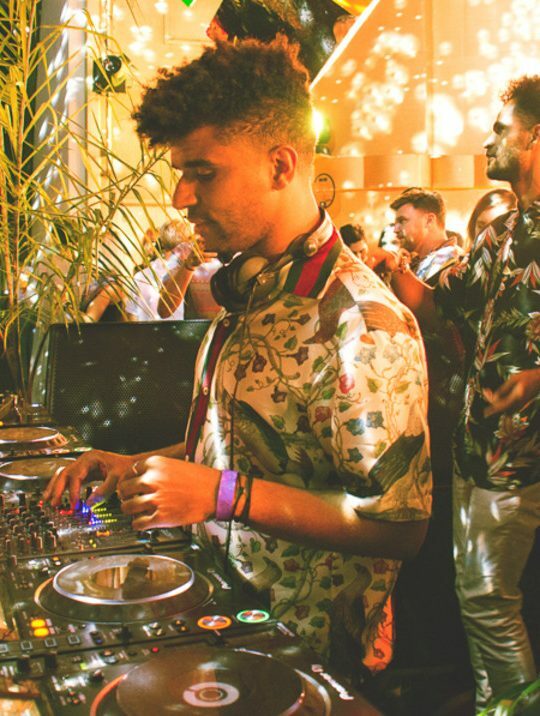 Dance the night away with like-minded people while listening to artists like Camelphat, Claude Vonstroke, HOSH, Justin Jay, Mikey Lion and Lee Reynolds, Oona Dahl, Shiba San, and Walker & Royce.